Lacy Darryl Phillips (LDP) is an accomplished Actor, Singer, Dancer, Choreographer, Creative Director, Music Producer, Songwriter and Teacher. Nationally acclaimed Teacher/Choreographer, Frank Hatchett, was Instrumental in shaping Lacy’s career as a consummate performer. Supplemented with a full scholarship to The Alvin Ailey American Dance Center before graduating High School, provided him with a strong foundation to pursue his dreams and goals. Lacy performed in his first professional show “Miss Moffat” with Bette Davis at the age of 9. Soon after, he toured the United States and performed on Broadway in “Raisin starring as Travis Younger, “Sophisticated Ladies” starring Gregory Hines , “Dancin”, “Anything Goes” starring Patti Lupone, “Sweet Charity” starring Debbie Allen, “Play On”, the Broadway production of “FOSSE” and “Me and Mrs. Jones” starring Lou Rawls and Darlene Love. Director/Choreographers that Lacy has worked with are Debbie Allen-Nixon, Bob Fosse, Michael Peters, Lester Wilson, Michael Kidd, Larry Fuller, Claudia Asbury, Gail Benedict, Donald McKayle, Gene Castle, Mercedes Ellington and Louis Johnson. His Choreographic efforts for Television and Stage include working with such artists as Vanessa Williams, Karyn White, Phylicia Rashad, Expose, Sandra Reaves – Phillips, Lonnie Gordon, Jimmy Z, Stephanie Pope, Seiko Matsuda, Toshi Tahara, Jun Inoue, CeCe Peniston and Tony Terry. Mr. Phillips choreographed and staged the National Tour of “The Wiz” starring Grace Jones and Peabo Bryson and was Associate Director/Choreographer for the Mariah Carey “Around The World” Tour. Under Mentor Debbie Allen-Nixon, Lacy was an assistant and also performed on such projects as: “A Different World ” , “The Academy Awards”, “Polly I & II” for Disney and the CBS T.V. Movie “Stompin’ At The Savoy” featured as Teddy The M.C. and “Cool Women”. In spite of his busy schedule. Lacy also finds the time to teach in Japan, Italy, Canada , Los Angeles and New York. Many of his students have been winners on Ed McMahons’ “Star Search” and are performing with Major dance companies across the United States . Under the auspice of Broadway Theater Institute, Lacy participated in the inception of The Hinton Battle Theatre Laboratory in New York as: Associate Director/Choreographer, Production Manager and Casting Director. Lacy then realized his ability and desire to break through the “performer” box and fulfill his creative vision thus planting the seed for Uncle Earl Productions. 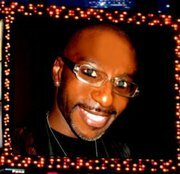 In 2002, after incorporating as Uncle Earl Productions, he was hired as Assistant Director/Choreographer for “Signed, Sealed, Delivered” (A Celebration Of Stevie Wonder ) at the Venetian Hotel in Las Vegas strarring Chaka Khan, Peabo Bryson and Melissa Manchester. Please check out the website for more info: www.UncleEarlProductions.com. Having attained a wealth of experiences and knowledge. Lacy now wishes to nurture the up and coming Talent of the future. Look forward to more collabs with him in the near future. I have worked with Lacy Darryl several times. And I found him to be very talented and professional. I am looking forward to working with Lacy again. Lacy Phillips – 99.3 KCLAFM (The Underground Experience Radio Show) is what everybody should be tuning into. If you want the ultimate radio listening experience with the hottest new artist, best selection and the host with the energetic music power, Lacy Phillips is were its at! Lacy Darryl Phillips was a pleasure to work with. He handled large volumes of music files, managed vocalists and band members, and coordinated rehearsal schedules professionally and always with a grin on hand. I believe Lacy to be an excellent organizer, hard-working and cheerful. I welcome the opportunity to work with him again in the near future. Although I have only know Lacy for a short time I can tell you he is a person of outstanding character and a real pleasure to be around I hope to work with him again soon on a new project . Thanks to Lacy Darryl for the support in LA, all DJ`s shoulder learn of Lacy !